Hardcover, 10 x 11.75 in. / 136 pgs / 96 color / 2 bw. Text by Dirk Dobke, Ursula Panhans-Bühler. 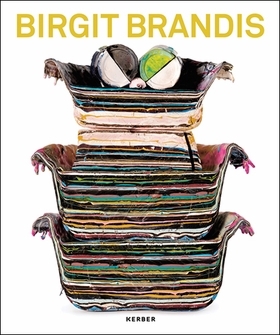 The reliefs, paintings, interventions and photographs of German artist Birgit Brandis (born 1976) are colorful and expansive, full of enigmatic references and motifs. It Was the Blue--part catalogue, part artist’s book--provides a representative overview of her career. FORMAT: Hbk, 10 x 11.75 in. / 136 pgs / 96 color / 2 b&w.